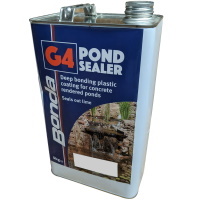 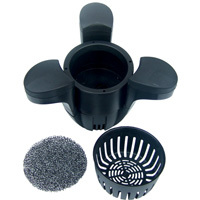 G4 Clear Pond Sealer 25kg: Concrete Pond Accessories: Pond Liners - Buy pond equipment from Pondkeeper: fishing out the best deals on the net. 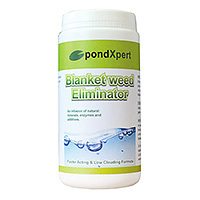 The perfect solution to sealing concrete ponds. 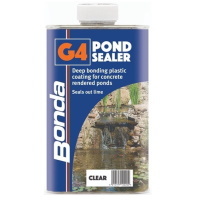 Concrete-based ponds need the final render sealing to stop the water getting in and lime leaking out. 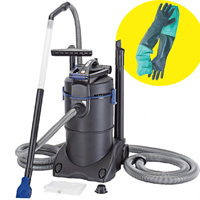 G4 has been long established as the market leader for this task. 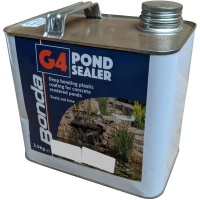 The amount of G4 you will need depends on the internal dimensions of your pond. 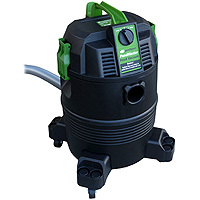 For example lets say the pond is 3m x 2m and 1m deep.